Radiance™ Far-Infrared Textiles are designed to recycle your body’s energy. Radiance yarn contains infrared-emitting ceramic particles that capture heat energy and transforms heat into infrared light which is reflected back into the body, resulting in a temporary increase in blood flow at the site of application in healthy individuals. Radiance Far-Infrared Yarn works with every fiber of your being to increase stamina, enhance performance, improve strength, improve endurance, and promote faster recovery. RecoverMe® Far-Infrared Sleep Products blend Radiance™ Yarn with other fibers including fine Egyptian Cotton (sheets) and comfortable Tencel® (pajamas), as well as memory foam (cushions, pillows) to provide a more restful sleep, enhancing muscle recovery and balancing body temperature for better performance during the day. Our textile products contain far-infrared emitting particles, which temporarily promote increased blood flow at the point of application in healthy individuals. Radiance™ Fabric is designed to increase/recycle human energy. See for yourself how effective Radiance™ is! 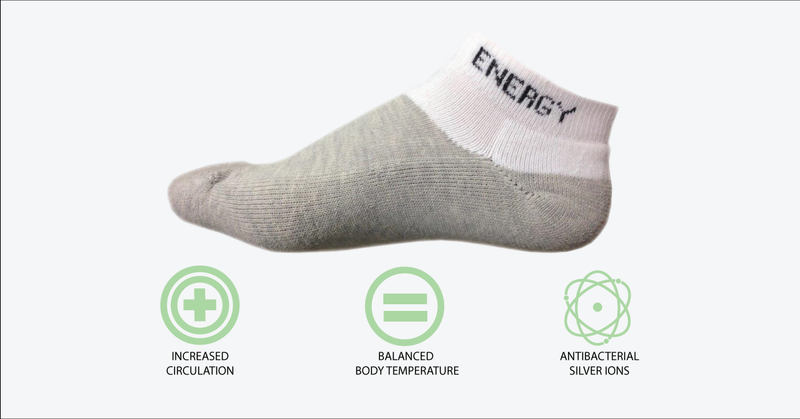 Everyone that has been wearing Infrared Reflexa Socks loves them!!! They are absolutely the best socks that have ever been made. Every pair of Reflexa socks comes with a one year Manufacture Warranty for any defects. It's one of only a few socks that meet the rigid requirements to achieve the Seal of Acceptance from the American Medical Association. I have never been able to run so fast for so long in my life! Infrared Athletic wear keeps my body running smoothly, eases the pain that comes with long distance running, and I never seem to hit the runners wall. 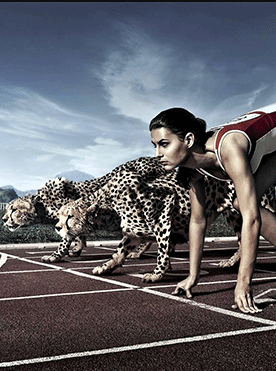 I just keep going until I finish my goals and I seem to always be beating my previous times. I now tell all of my running mates that Infrared Activated products rock, they are more than worth the investment. We lead complicated lives. First thing in the morning I do a core fusion work-out with a ballet barre and to keep it effective the instructors have to vary the work-out. I am from the generation that believes no pain no gain so if I feel a twinge my first reaction is great…this is working. It might be tightening my abs but it is definitely irritating my sciatica. Later in the day whether I am walking a trade show or making site visits with clients, again I am on my feet and irritating my back even further. Before I had a Baxsaver, I would barely be able to handle the pain before I got home. Now I am more confident that if it acts up, I know minutes after I put on the belt I can anticipate relief. I am grateful. The most unique linens that I've ever experienced! After being unexposed to extreme cold for over 15 years of my life, I had forgotten what types of clothes were suitable for these punishing temperatures. I was provided the opportunity to utilize the Infrared Activated product and on Day One of the skiing adventure, I double-layered most of my clothing. I found that I was too warm, even in these below zero temperatures. On Day Two, I played it smart and chose to wear one layer. Wearing one layer of the Infrared Activated product was definitely sufficient enough that I was comfortable, not excessively warm and, most importantly when in these conditions, I was dry. As a photographer and graphic designer for over 17 years, my hands are always in motion. When I started having severe pain in the knuckles in my right hand it was a big scare because my hands are so important to my work. When hearing about Infrared Activated products, I was not a believer. But, after being in so much pain I gave the product a chance. I tried the hand/wrist band after a few hours a day for a few weeks, my pain went away and hasn’t returned. It has been about 8 pain free months now. I also had a car accident 2 months ago where I was rear-ended and the MRI shows that I will have permanent damage. I was having bad neck pain and daily headaches. I used the Infrared Activated neck blanket a few hours of the day for a few weeks and once again I am doing better. No headaches and the neck pain is going away. After experiencing Infrared products for myself, I am now a believer. The difference I feel when wearing a product made with celliant is encouraging and exciting. Having clothing that aides my lungs by helping to increasing oxygen levels, gives me the opportunity to continue doing the activities I enjoy with more ease. Working with John at Energy Textiles has introduced me to more products that enhance the life of a person dependent on oxygen. I do wear them a lot and have been feeling energized and upbeat whilst doing so (Apparently I'm not the only happy Energy Textile camper to report this). The tops and socks feel beautiful against your skin are are super lightweight, quick to wash and dry, which makes them the active jet setter's best friend.